Today I installed the BuddyPress plugin to one of my WordPress sites in order to begin setting up a miniature social network for my family members to keep in contact with each other. Right away I noticed a problem where new users could not receive confirmation email. 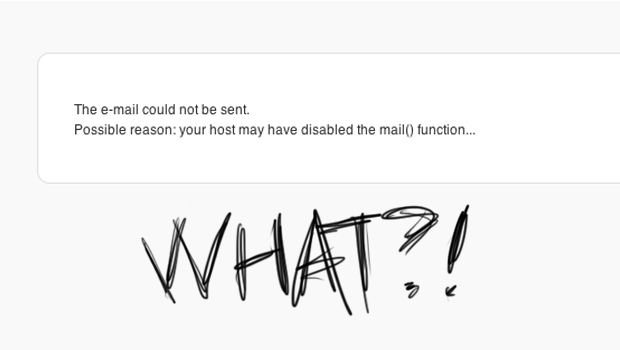 Also, after installing BuddyPress, I no longer received any sort of email from my site, even though WordPress use to do it. So after scouring the internet and talking to BlueHost technical support I finally found a fix that worked in my situation. I’d like to share it because it took me half a day to find it. And the forums at BuddyPress are very difficult to navigate so it might just be easier if someone were to post it on their own site…which is what I’m doing. The answer came from a user in a WordPress forum. All I had to do was install a plugin. The plugin is called Mail From. It’s free, and even though it “hasn’t been tested” on my version of WordPress (3.2.1) it works and it saved me so much time. Overall I’m pretty pleased with the potential of BuddyPress and I can’t wait to get it fully set up and flowing on my families website!